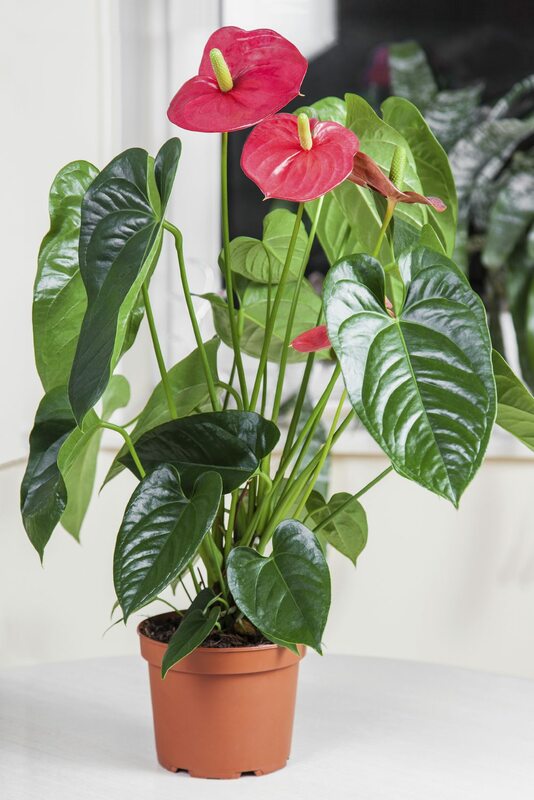 why do anthurium leaves keep yellowing? Why do my anthurium leaves keep yellowing and dying when watering and feeding are carried out as recommended and temp is within limits? Yellow leaves can be caused by a number of things. Typically in houseplants, it is either underwatering or overwatering. Water when the top of the soil feels dry, but to do let the soil dry out all the way. It could also be developing a fungus (which neem oil can help with).